PATRICK MIKHAIL GALLERY is pleased to announce representation of Montréal visual artist ANTONIETTA GRASSI. We launch Grassi’s first solo exhibition with the gallery, Contemplation for Obsolete Objects, in April 2018. Antonietta Grassi has been committed to the practice of abstract painting for most of her career. Her paintings, which at first appear as hard-edged geometric abstractions, are composed of multi-layered, painted surfaces where the touch of the hand is paramount. Grassi paints layered, intuitively derived forms that are intersected by fine, thread-like lines—creating works where textile, architecture, and painting's twentieth century history collide. Through her nuanced and layered palette, she explores color and light to create perceptual spaces that are drawn from memory and imagination. 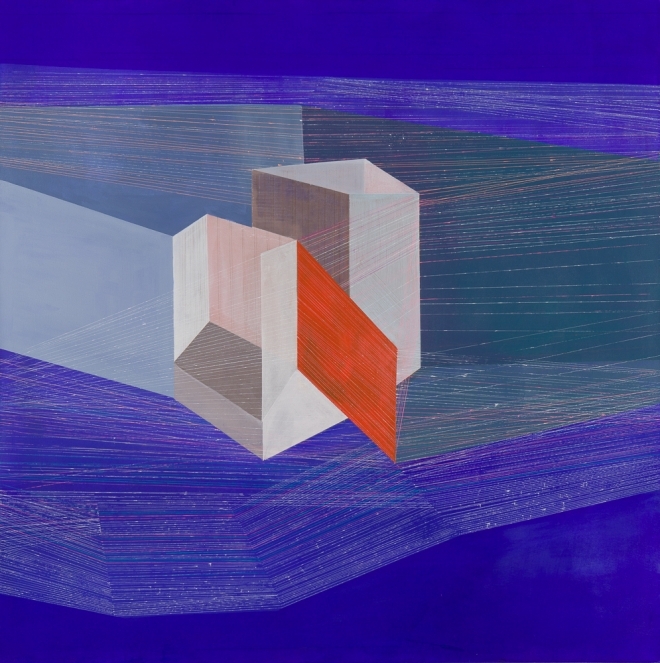 Grassi's work is simultaneously mathematical and painterly, reflecting a process-driven approach that belies the organized compositions of the geometric forms prevalent in the works. Grassi earned a BFA from Montréal’s Concordia University and an MFA from l'Université du Québec à Montréal (UQAM). She appears in the exhibition ARCHITECTONICA at Stewart Hall Art Gallery in Point-Claire, Québec from March 17 to April 29, 2018. Patrick Mikhail Gallery in Montréal launches Contemplation for Obsolete Objects, Antonietta Grassi’s first solo exhibition from April 14 to May 26, 2018.